We live in the age of social media where our Facebook feed and Instagram posts are flooded with selfies. The craze behind selfies remains unabated. We can say that selfies have become a part of lives; and what better tool to use to capture those amazing shots – selfie sticks of course! The selfie trend has gained so much popularity that you can find designated selfie spots to capture a picture with your selfie stick. All the major hotels, tourist attractions, and monuments are dotted with these spots. The selfie stick is also advantageous in many situations where you would want to fit a lot of people into a single picture. Therefore, this makes the selfie stick a must-carry item for both long and short trips. Here’s a list of the 5 best selfie sticks for your Smartphone. The build quality of the stick for its price is excellent and the rubberized handle makes for a better grip. The stick comes with a bunch of other items like Bluetooth remote shutter, CR2032 button cell, and a manual. This selfie stick pairs easily with both the iPhone and Android mobile devices. The setup is quite easy: you simply turn ON the remote switch then search and pair with your device. 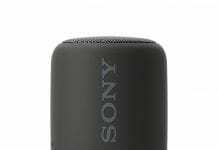 One great thing about this product is its anti-rotating feature, and due to this, the stick does not rotate under the weight of the smartphone. 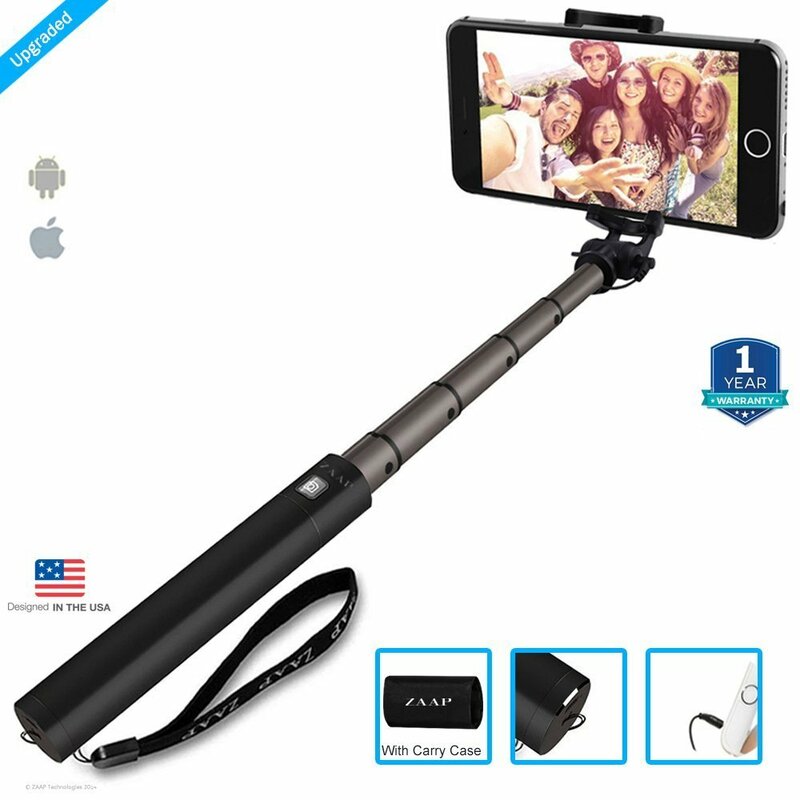 This is another great selfie stick that is worth every bit of your money. You also get a Bluetooth shutter along with the stick. The stick is extremely sturdy and certainly fares better than other local brands. It can hold up to 2.5 KGs and can also be used to hold DSLRs. It works with both iPhone and Android phones. 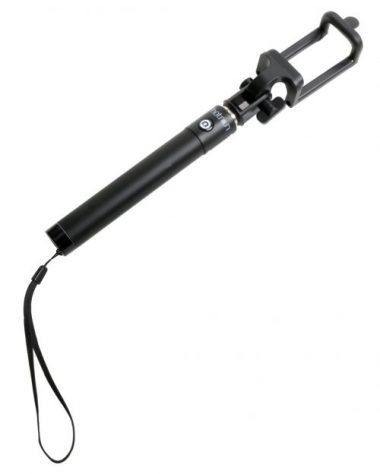 This is a great selfie stick to carry along on a casual outing. The Captcha QT-588 is compact and can fit in a pocket or a small purse quite easily. You just need to open the clips, extend the pole to the desired length, and close the clips. 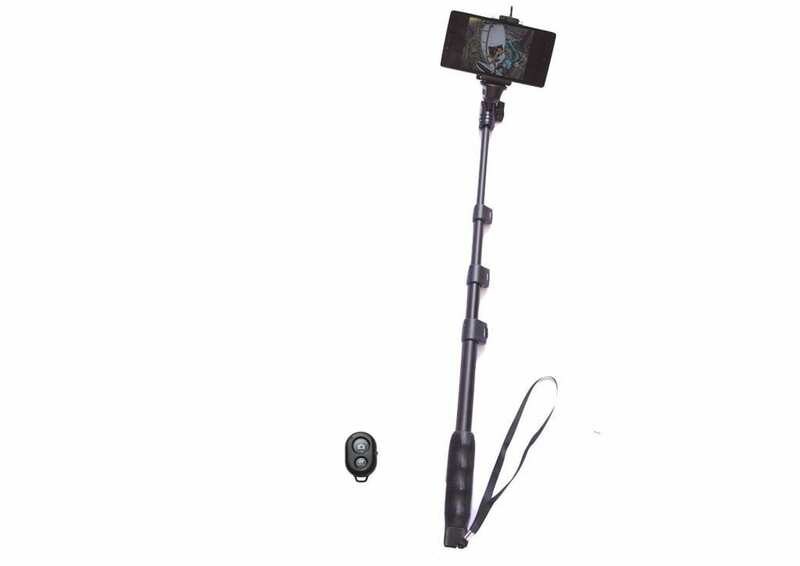 It has a detachable cradle for the Wifi remote (wifi remote is not included with the selfie stick) allows you to easily attach your remote to the pole itself. It gives you the convenience to start and stop shooting while your camera is still high up in the air. The strong clip ensures that your mobile device stays stable while shooting pictures and videos. Ez Life Selfie Stick comes from the house of EZLife. 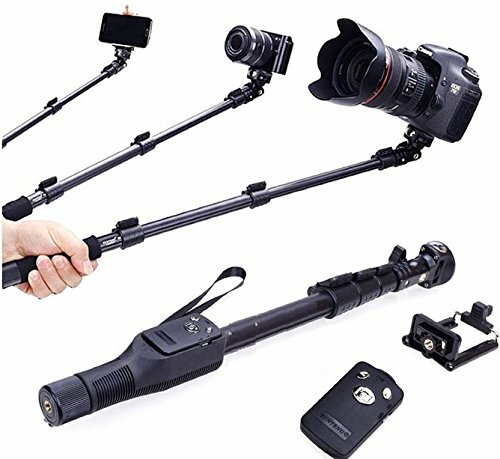 This selfie stick comes with a reinforced aluminum tubes and 4 leg sections which lets you reach a height of 48.4inches and still maintains stability. The standard adapter provided in the box lets you to attach this stick to any mobile device or camcorder. However the Bluetooth remote works only with the smartphone. For camcorders, you need to use the traditional wired remote. This is a premium selfie stick and slightly on the expensive side but is worth every penny if you are willing to shell out. It has great design and is lightweight. It’s made of Aluminium, making it durable and long-lasting. It is compatible with almost every iPhone and Android phone and syncs via Bluetooth within seconds. It handles and phone holder both are made of silicone ensuring better grip and safety for your Smartphone. It has an amazing battery life allowing you take 4000 plus selfies on a single charge. 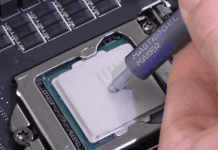 What makes it so popular among the customers is that you get a 12-month warranty for your purchase. So what are you waiting for? 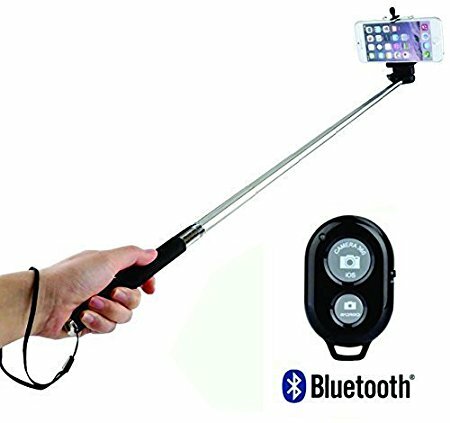 check out these selfie sticks and get clicking those amazing selfies right now!